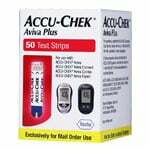 With the best brands on the market, ADW Diabetes offers great discounted prices on diabetic glucose test strips. 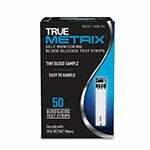 Blood glucose test strips are used with a glucose meter to measure blood sugar levels. 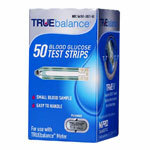 The diabetic test strips collect a blood sample so it can be analyzed by the meter and report the current glucose level. This helps people with diabetes obtain immediate information to develop an effective self-management plan with their health care providers. 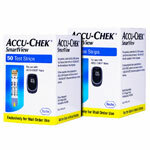 When it comes to safe, reliable at-home management, diabetic test strips are an essential solution to need to have on-hand. 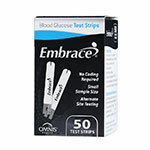 For your convenience, we offer diabetes test strips in singles and discounted multi-packs as we work to keep diabetes management affordable for you. 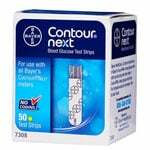 We offer most major name brands of glucose testing strips including: True Metrix, Accu-Check Aviva Plus, Advocate Redi-Code Plus, Agamatrix Presto, Bayer Contour, Bayer Contour Next, Bayer Breeze 2, Embrace, FreeStyle, FreeStyle Lite, Nova Max, One Touch Ultra, and TRUEBalance. 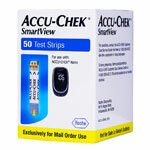 You can also save an extra 5% when you enroll in our Diabetic Coverage® AutoShip program on the test strips you use most. 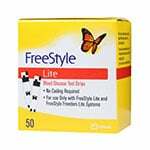 What are Diabetic Test Strips? Diabetic strips are tiny, thin, plastic strips which are placed into a blood glucose meter which then gives you your current blood sugar value. 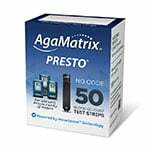 Although diabetic test strips have been around for a while, the technology has changed over the last few years allowing it to be much easier and more accurate than ever before. Even though there are multiple brands of meters that use matching, specific brand strips, they all work similarly. How do Glucose Strips Work? 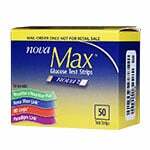 Glucose strips hold a high priority in the management of diabetes since they are a key component in blood glucose testing. Since the 1990s, an enzyme called glucose oxidase transforms the blood glucose on the strip into an electrical current. 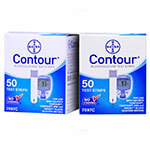 The meter then reads the current as a glucose concentration which appears as a number on your meter screen. 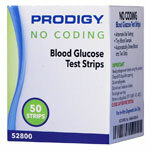 Glucose strips can be +/- 20% of your actual glucose number. All meters are strip specific so extra strips should be ordered when the meter is purchased. 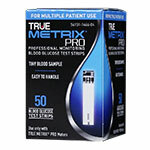 Test strips are usually available in bottles of 50 or 100 strips per container. The container should be kept closed until the test strip is needed, since strips can be affected by heat, humidity and artificial light. Before handling the strip to insert into the meter, hands should be washed with soap and warm water to avoid inaccurate results. If soap and water are unavailable, use an alcohol gel-based product or an alcohol swab instead. Dry hands and fingers completely. Remember that alcohol can dry out your skin and you may already have dry skin from diabetes. Touching vitamins, jam, cereal, fruit, hand lotion and other products may change blood sugar results. Dry your hands and fingers carefully to make sure that the blood sample is not diluted. Always check the expiration date on the box of strips and make sure to open the box with the earliest expiration date first. 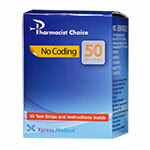 Using diabetes testing strips out of date will not ensure quality and accurate numbers. Once opened most strips are fresh somewhere between 3-6 months, but check with the specific manufacturer and read the insert that comes with your box of strips for best results. 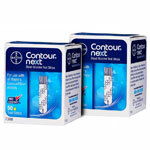 Place a new lancet into your lancet device each time you test. Reused lancets get dull after their first use since they are extremely thin and lose their coating, which could cause more pain and may cause you to get an inadequate drop of blood. Once the lancet is completely in place, make sure the lancet device is set at a depth that works best for you. Make sure the new strip is inserted into the opening in the meter before pricking your finger. Use the sides of your finger and change fingers often to prevent infections or callouses. This area will give the most accurate results. 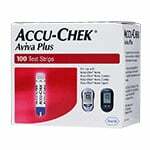 Within 5-10 seconds, you will see a number on the screen of your glucose meter indicating your current blood sugar. Make sure to document your number on a spread sheet or log book to share your results with your physician. When Should You Check Glucose Levels? 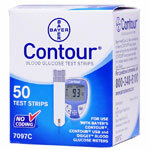 Knowing when to test blood sugars will prevent you from wasting strips and help save you money. It will also prevent you from needless finger sticks. Always check with your diabetes management team to determine how many times a day and what specific times to test your blood glucose. Often blood glucose should be tested before a meal and 2 hours after a meal to see how the specific food impacted your blood sugar results. 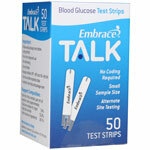 Blood sugars can also be tested fasting in the morning and then prior to bed. You may need to test more frequently at different times depending on your personal situation. 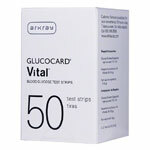 Blood glucose testing is one important tool to help guide your diabetes self-management plan. It also helps your physician make changes in your medical management along with your current A1C value. The strip needs to be fully inserted prior to placing the drop of blood on the strip. Placing too little blood can cause a screen to read "error" or give a lower number than your actual number. Placing too much blood on the strip may also result in "error" on the screen and wasting an additional strip. Having a battery that goes dead during the glucose test. Batteries last up to 2 years and can easily be replaced. The meter usually indicates when the battery power is low. Removing strips from the original container and placing them in your pocket, wallet or meter case for convenience, this will make the strips inaccurate. 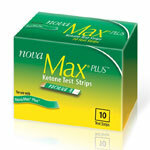 Avoid strips encountering dirt, water, crumbs, soap, lotion, food or vitamins. Trying to reuse a test strip you will get inaccurate results since there is only enough enzyme for one test.